All Grand Heritage Hotel Group members have the opportunity to enroll for the Brooks Brothers Corporate Membership Card. This benefit was initiated to provide you with enjoyable incentives and an every day 15% savings when shopping for your wardrobe needs. As a Brooks Brothers Corporate Member, you will receive an every day 15% Savings on regular and everyday value priced merchandise at Brooks Brothers U.S. branded stores nationwide, by phone and online at brooksbrothers.com. 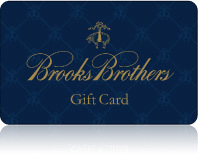 Your Brooks Brothers Corporate Membership benefit is valid at Brooks Brothers U.S. branded stores nationwide, by phone or online at BrooksBrothers.com. Savings cannot be combined with any other offer, discount or promotion or for purchases of the Gift Card. For a store location near you, please visit BrooksBrothers.com or call 1-800-274-1815. One night accommodations just for you and a three course dinner at Aquariva, our Italian Kitchen. Our rates include Continental Breakfast. One night accommodations, a three course dinner for two at Aquariva, our Italian Kitchen. Our rates include Continental Breakfast. One night accommodations, treat yourself to a 60 minute spa treatment and a second 60 minute spa treatment is free of charge. One night accommodations, a 60 minute couples aromatherapy massage, a jacuzzi soak for two. For spa reservations and availability, please contact the spa direct line 503.802.5900. Our rates include Continental Breakfast. Overnight accommodations in the room of your choice, Personal Directions from our Guest Service Team and color downtown walking map, (1) Sampler Platter at each of the four breweries, (1) Take Home Pint from each of the four breweries. Overnight accommodations in the room of your choice, Personal Directions from our Guest Service Team and color downtown walking map, (2) Breakfast vouchers for Jakes Grill each day of your stay, Includes all room taxes. Overnight accommodations in our Penthouse Terrace Suite, 1) Bottle of Rose Blush Wine, (1) $50.00 Dining Credit at Jake’s Grill, (1) Four Piece Box of Moonstruck Chocolates, 2:00PM Late Check Out time, Evening Rose Petal Turndown service.